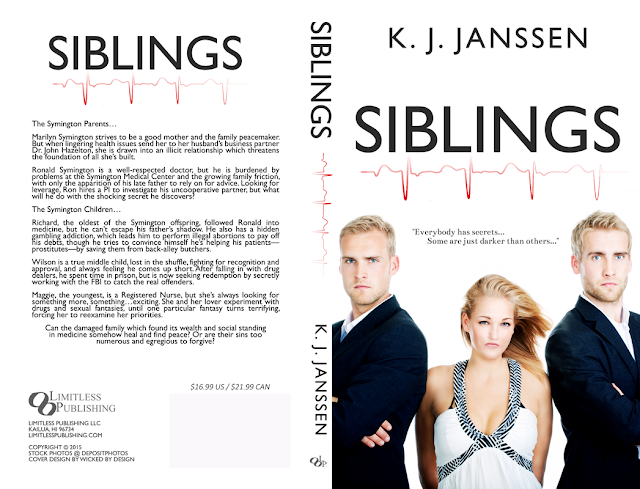 Book Spotlight featuring Siblings by K.J. Janssen w/a rafflecopter giveaway! Previous postBook Blast featuring Mated with the Cyborg by Cara Bristol w/a rafflecopter giveaway! Thanks for the fabulous Blog review of SIBLINGS. This insightful Family Drama/Romance is the sleeper of the year. Readers are just reaklizing that not only is this a great story, but it addresses current affairs (Family Planning, abortions). I like reading family drama and romance books and this one sounds very interesting. Thanks for the spotlight and giveaway!